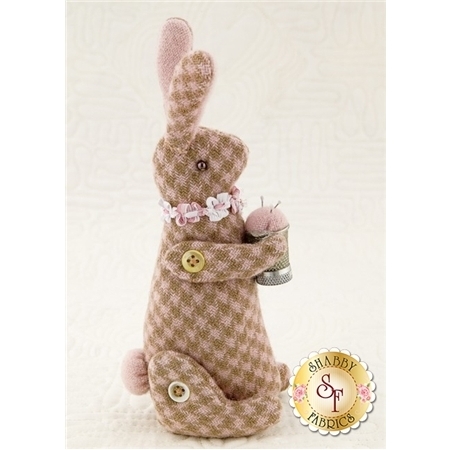 This darling 5" tall bunny pincushion was created by Anne Sutton of Bunny Hill Designs. Bunny has joints secured with buttons and a pretty filly rose ribbons adorns her neck. Bunny is holding a thimble with pins in it! So cute and what a wonderful gift for ALL your sewing friends.